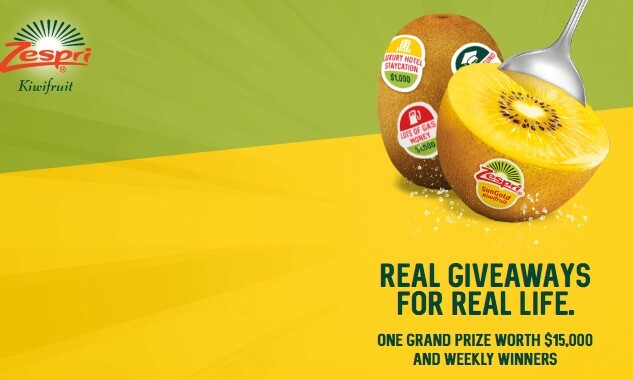 Zespri Kiwis want you to have a real good life this year! They are giving you a chance to win $15,000 worth of YOUR favorite prizes or great weekly prizes! Grand Prize: Create a $15,000 custom prize package by selecting your choice of prizes from those available by the sponsor. Weekly prizes: $500 in Fruits and Vegetables (to be awarded in the form of a $500 Bank-issued, pre-loaded gift card). This Sweepstakes ends on 10/15/18 and you can ENTER DAILY to win.